With the innovative hands-free bluetooth car installation, you can answer your cell phone and still drive safely! Research proves that most accidents are due to distracted drivers, and a common distraction is a cell phone. However, you can still answer the phone or make a call while staying safe, with hands-free bluetooth car installation. Bluetooth is a wireless technology for exchanging data over short distances, embedded in cell phones, computers, radios, that makes sound transmission and data between various types of equipment. In short, bluetooth allows mobile phones to communicate with computers and other devices. Hands-free bluetooth car installation allows your car to communicate with your cell phone. By installing the bluetooth hands-free car installation in your car, you will be able to connect to any phone that has Bluetooth technology available. After the first sync, this process starts to occur automatically when you get in the car with your cell phone. If you are driving your car and your phone rings, you can answer at the push of a button on the radio. The audio for the call is transmitted through the car’s speakers. You can safely talk without removing your hands from the steering wheel or taking your eyes off the road. Having hands-free bluetooth car installation is not difficult or complicated. Some vehicle models now come standard with Bluetooth installed, but it can be installed after-market in any car, quickly and within your budget, at Car System Installation. 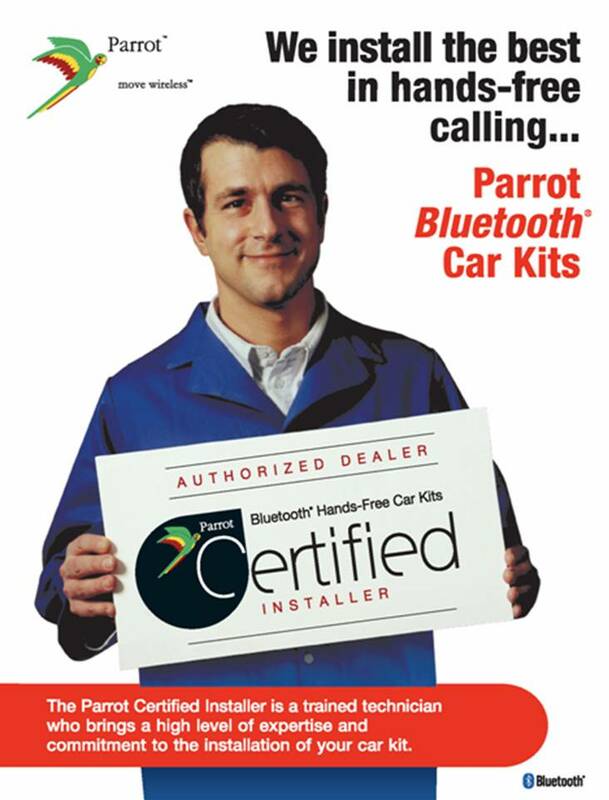 With hands-free bluetooth car installation you can answer your calls safely. By keeping both hands on the wheel, both accidents and fines are prevented. Car System Installation can help you find the right system for you. Car System Installation is experienced in hands-free bluetooth car installation. Since 1999, we have been an industry leader in building any type of electronics for cars. We ensure reliability, professionalism and competitive prices. We stand behind our workmanship and products. We proudly service Toronto, Scarborough, Woodbridge, Newmarket and the GTA.